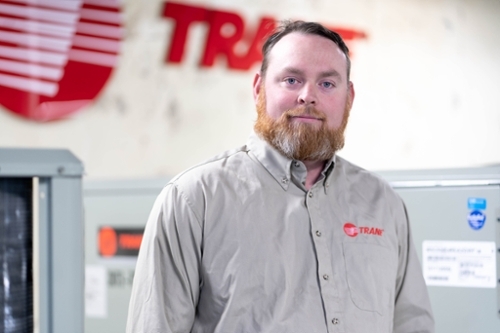 The Council of Refrigeration Educators (CARE) and HVAC Excellence has selected Hill College Heating, Ventilation and Air Conditioning (HVAC) Instructor John Willis as a winner of the 2019 D. Brian Baker Memorial Scholarship. Willis is one of only two winners in the nation to receive the scholarship. Brian Baker was a dedicated HVACR professional and educator who was passionate about the industry and was a true advocate for continual professional development. Baker attended every conference and training session that he could, knowing that working and teaching in the trade wasn’t just a job, but a passion he shared with all that he met. To honor his memory, the D. Brian Baker Memorial Scholarship was established to aid new instructors in professional development. Willis will be attending the 2019 National HVACR Educators and Trainers Conference March 3-5 in Las Vegas, and will also receive a one-year membership in CARE to honor Mr. Bakers commitment to education. The 2019 National HVACR Educators and Trainers Conference will offer attendees the opportunity to attend over 70 sessions, visit with manufacturers, publishers, and industry organizations at the Exposition, network with other instructors from across the continent and much more.